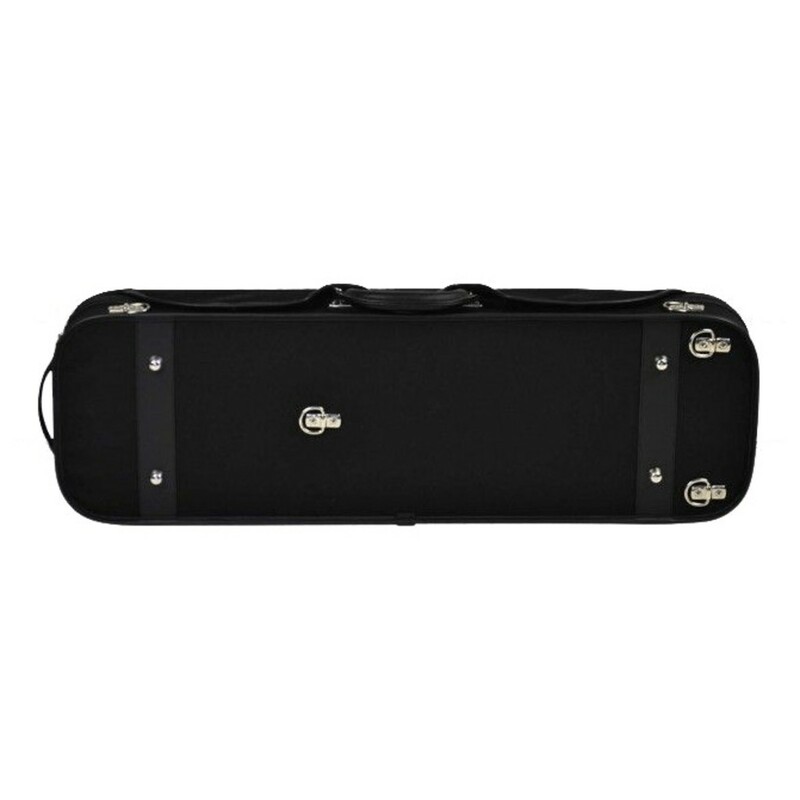 The Negri Venezia Violin Case is wooden and has a black, water-repellant, cordura canvas cover exterior. 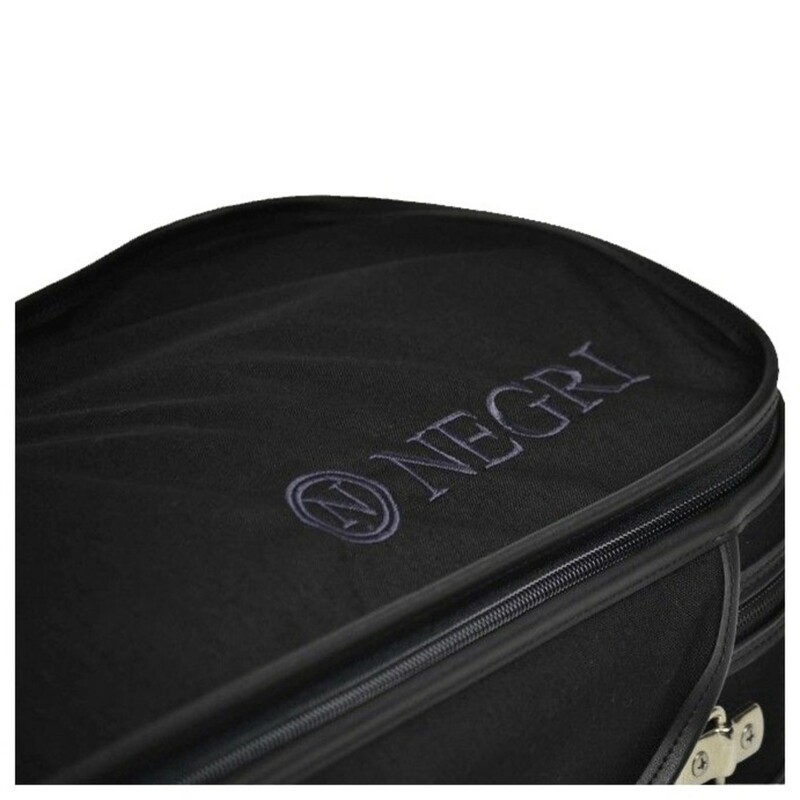 The Negri venezia features carry straps for use as a backpack. The case has a green micro fibre suede interior with one large accessory pocket. 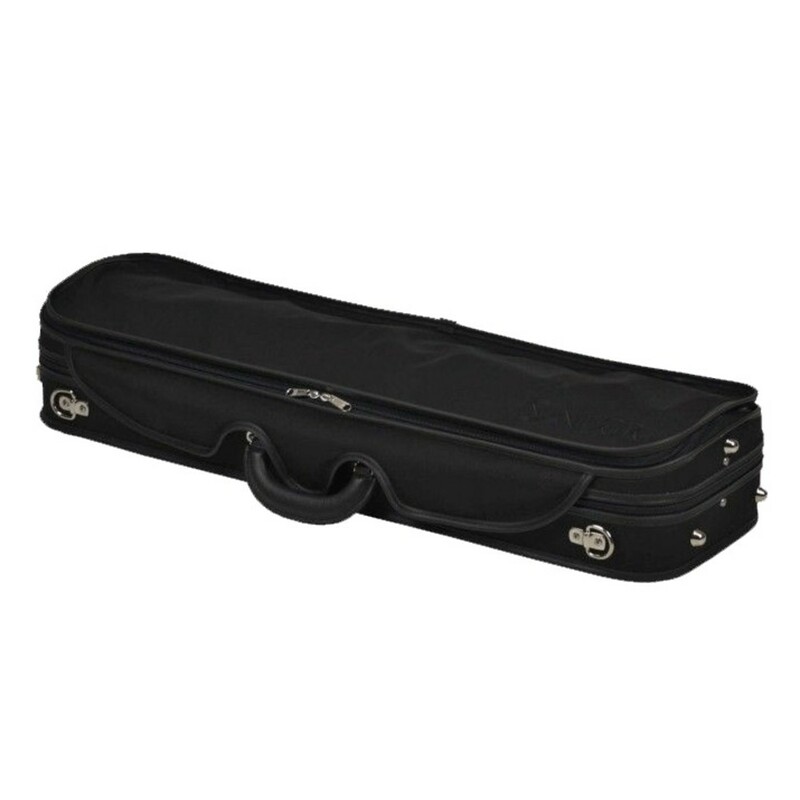 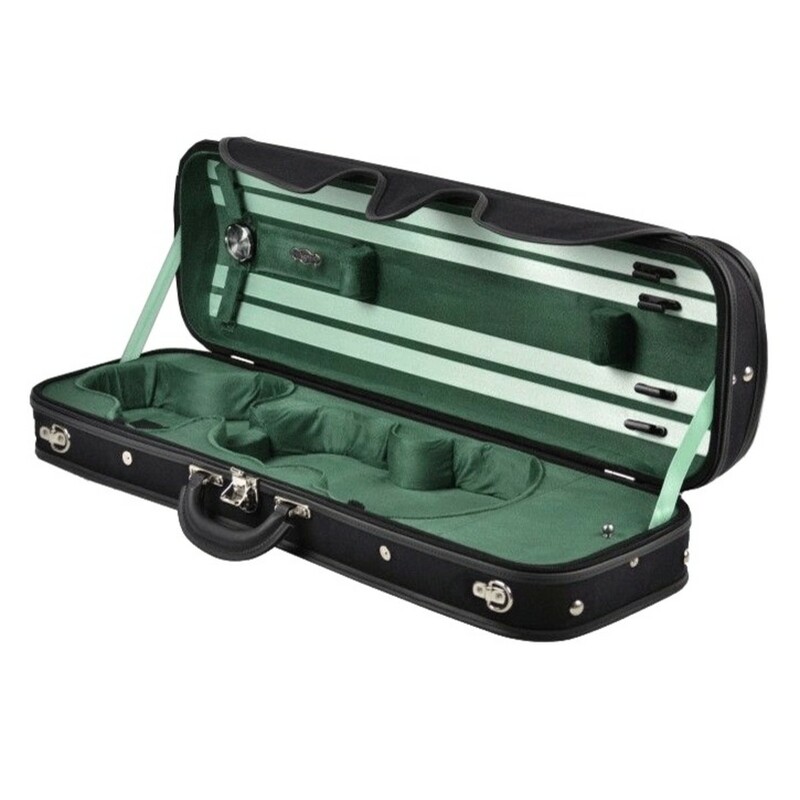 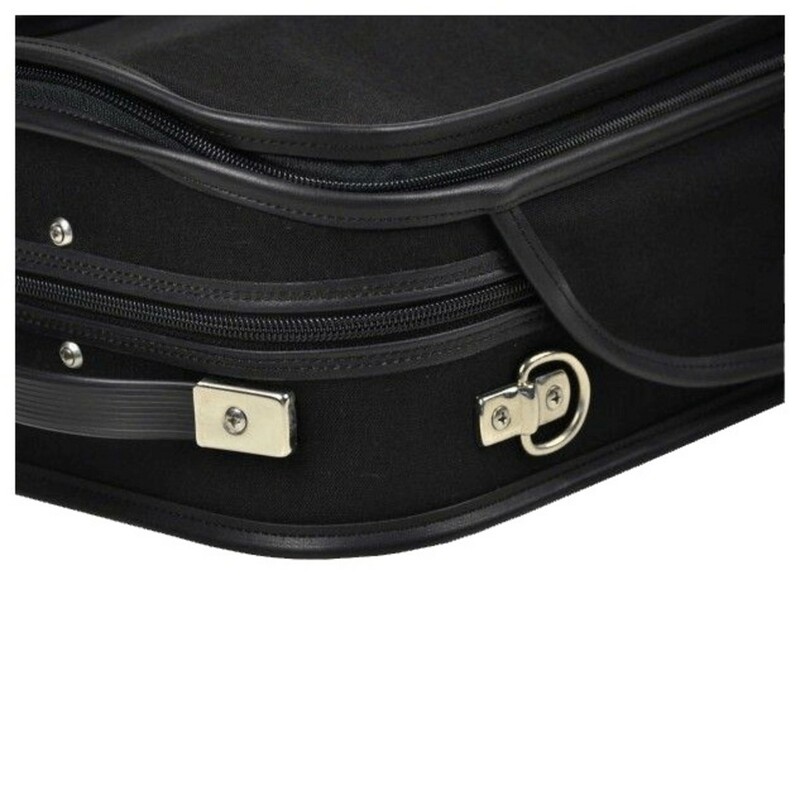 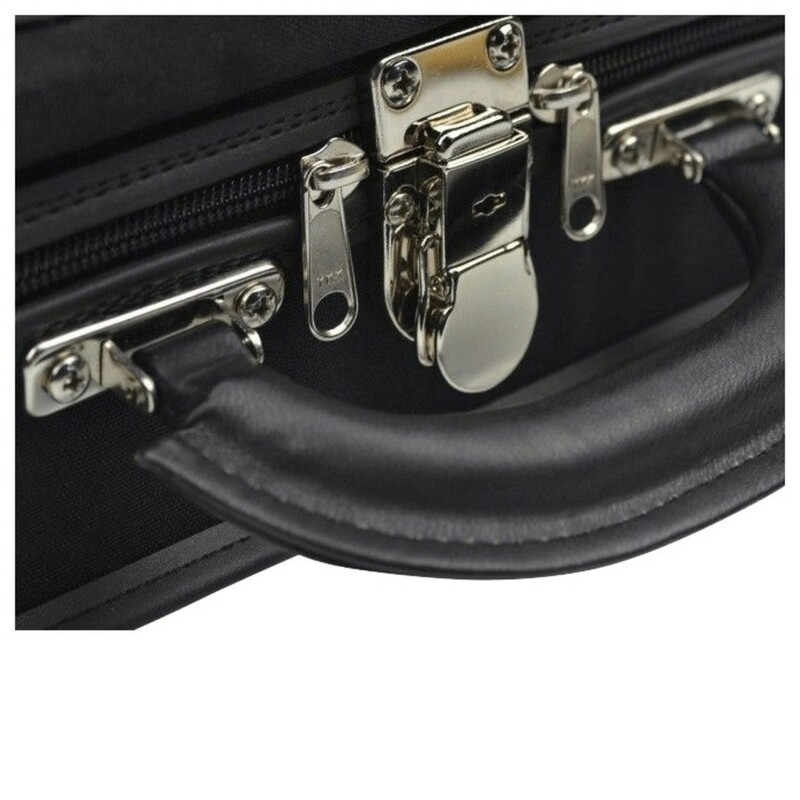 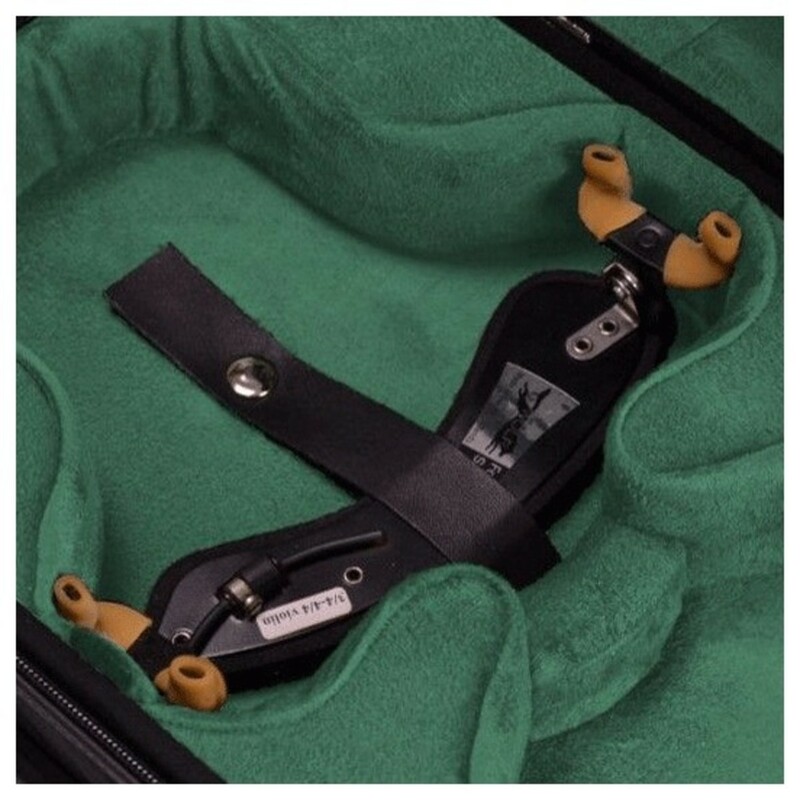 This case also features a high quality German lock to keep your instrument safe and secure.